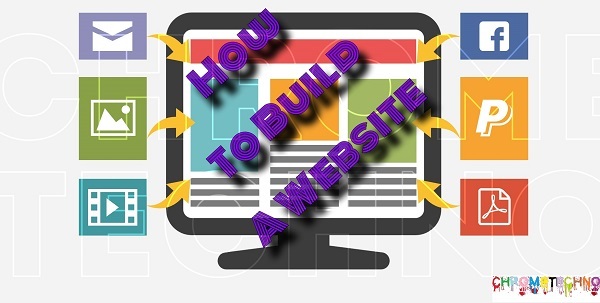 Hi guys, I am Rajeev and in this blog, I am going to teach you about How to create a free website in 2019. After reading this blog, you can create any kind of website, such as Drag and Drop so do not miss this blog and read it to the end to know how to do it. If you are starting a small business or you have a YouTube channel or want to experiment with the site, then this blog is for you. We are going to create a website in WordPress so WordPress. Why is WordPress? Then WordPress is a good resource to build a website without complex programming skills. Let’s start making this website! Pick a name for your website. Name like: – chrometechno.com, techyhayat.com etc. The popularity of any website depends very much on its name. You choose the name of your website, which is the identity of your website. And by doing so Google will rank your site fast. STEP-2👉Register your domain name and Web Hosting. Once you get the name, you can proceed to the next step, which is to get the domain name and the Hosting. Hosting and domain are two things needed to start our website. Hosting is where the files are stored on your website. And the domain is the name of your website. (💥If you want to know more about hosting visit: – What is Hosting? ).Buy a domain name and Web Hosting from a trusted site like – Bluehost, GoDaddy, NameCheap, etc. After purchasing your website’s domain name and web hosting configuration step by step. 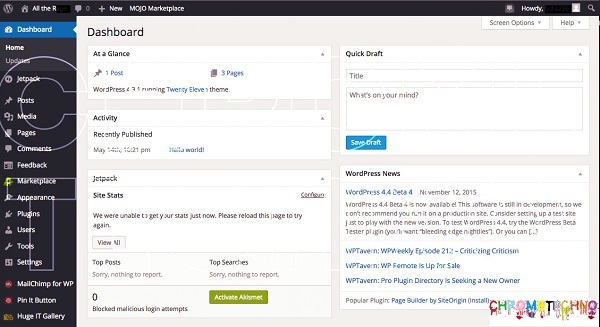 How to Install WordPress Now we will use WordPress because it is very easy to create a website without knowing any programming skills. And go to your GoDaddy account and then click managed WordPress. Okay! And then enter your website name or domain name which one you choose. Click start and then click no thanks. After logging, you saw a WordPress dashboard. Now from here, you will able to control your whole website. If you want to check your website is live or not then go to the URL section and then search your website name. And then you see the default WordPress theme. Install a new theme as per your requirements like suppose you have tech website then you will choose technical like the theme. Install plugins, so by installing the plugin, you will able to easily customize your theme. Once you’ve created a topic, you can now go to the last step, which handles the content. So, to edit any page of your site. Think about what people want means what people want to read. Not just what you want to tell them. Give user correct and accurate information do people trust your site. Update your website regularly, especially if you are a blogger. Make sure your contact details are correct and user easily contacts with you. Promote your website on facebook and any other social networking site. Make your website easy for search engines, do SEO (Search Engine Optimization) regularly. How to decrease the Bounce Rate of Website?